The monarch's birthday has not always been celebrated on 23 June. Under William I (1815–40), the date was 24 April (although his actual birthday was 24 August), and under William II (1840–49), it was 6 December, his actual birthday. 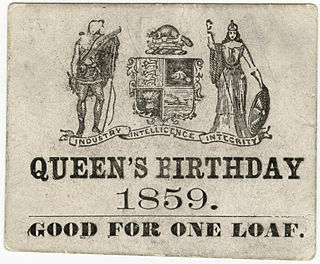 Because William I died between 24 April and 6 December, the holiday was celebrated twice in 1840. Under William III (1849–90), the date was set at 17 June until 1859, after which his birthday was celebrated on 19 February, two days after his actual birthday. With the separation of the orders of succession, the Dutch and Luxembourgish thrones split in 1890. The Nassau-Weilburg monarchs celebrated their official birthdays on their actual birthdays. In 1947, the day was declared the 'national holiday'. As both the then-reigning Charlotte and the heir apparent (and regent) Jean were born in January, it was feared that their actual birthdays, therefore the nation's holiday, would be marred by poor weather. Thus, on 23 December 1961, the date was fixed on 23 June by Grand Ducal decree. ^ "Everything you need to know about Luxembourg" (PDF). Service Information et Presse. p. 13. Retrieved 2006-08-02. ^ "Mémorial A, 1961, No. 59" (PDF) (in French). Service central de législation. Retrieved 2006-08-02. Dostert, Paul; Margue, Paul (2002). The Grand Ducal Family of Luxembourg (PDF). Luxembourg City: Service Information et Presse. pp. 103–4. ISBN 2-87999-018-1. Retrieved 2006-08-02. 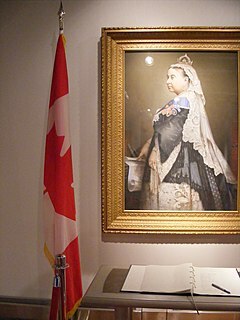 Victoria Day is a federal Canadian public holiday celebrated on the last Monday preceding May 25, in honour of Queen Victoria's birthday. As such, it is the Monday between the 18th to the 24th inclusive, and thus is always the penultimate Monday of May. The date is simultaneously that on which the current Canadian sovereign's official birthday is recognized. It is sometimes informally considered the beginning of the summer season in Canada.